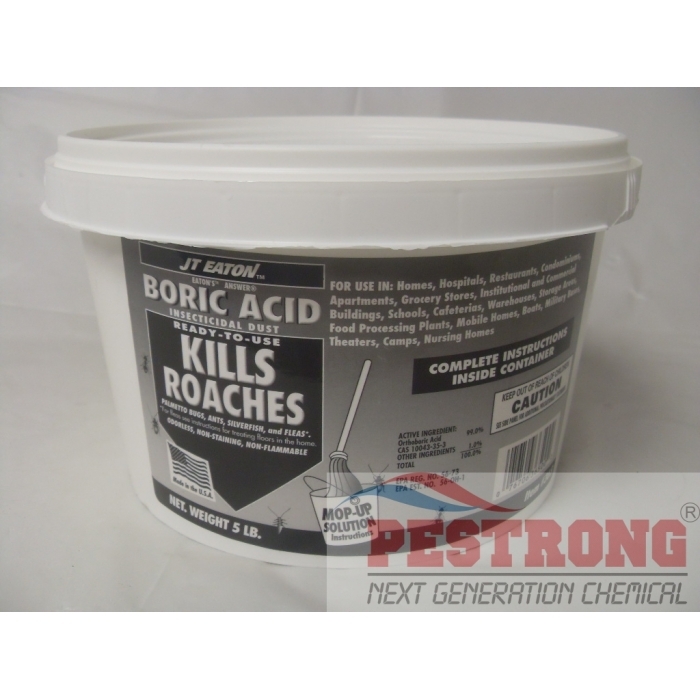 Where to Buy JT Eaton Boric Acid, JT Eaton Answer Boric Acid Powder - 5 - 25 Lbs - $24.55 for Sale with Fast Free Shipping! 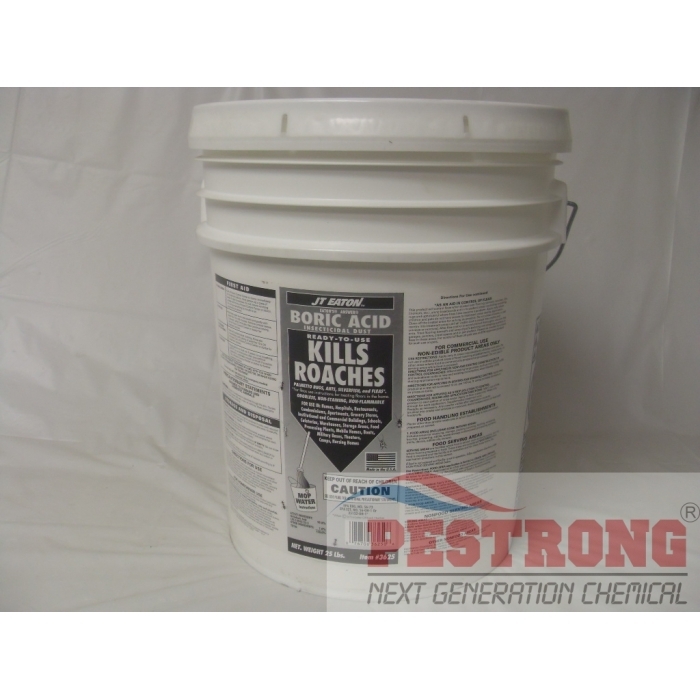 JT Eaton Answer Boric Acid Powder - 5 - 25 Lbs kills crawling insects including roaches, palmetto bugs, ants, silverfish and fleas. 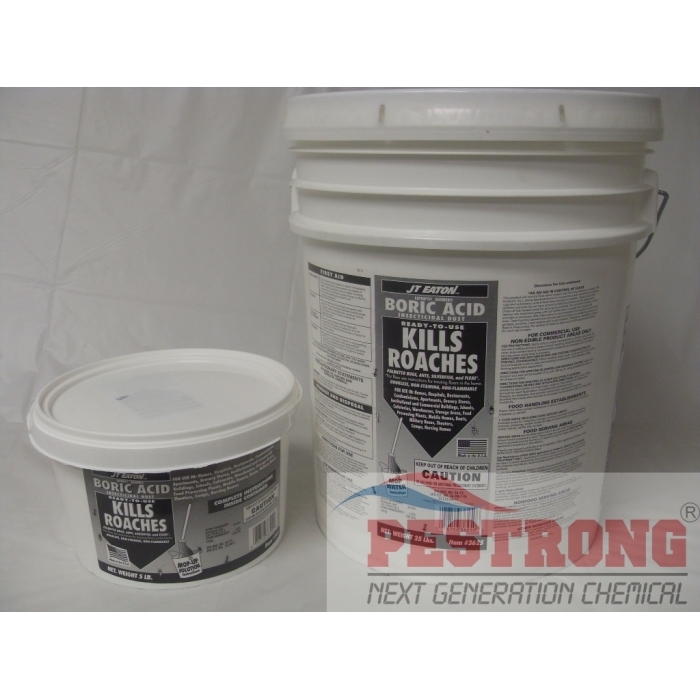 JT Eaton Boric Acid works through the use of insecticidal dust or mop solution with an odorless, non-staining and non-flammable dust that is applied in homes, restaurants, grocery stores, schools, warehouses, mobile homes, warehouse, hotels, offices, apartments, ships, buses, kennels, zoos, new construction, sewers and hospitals. Do not treat pets with this jt eaton eaton's answer boric acid insecticidal dust.